When I first decided to write with an aim toward publication, I followed dozens of writing blogs. Common advice, at that time, was “Don’t expect to make any money until you have at least ten books published.” As of today, I’m halfway to that goal. Love & Liability is my fifth published novel. Some authors hit the motherlode with their first book, of course, just as some authors publish far more than ten books and never make much money. At my age and lack of speed writing, I may never get ten books written and published. So the odds of me making a living at writing are slim to none. But then, that’s partly my fault. I’m not a business woman. I don’t “write to the market,” which means writing whatever type of book that’s bestselling at the moment. Unless luck strikes you, that’s the only way to make money writing fiction. You must be able and willing to change genres—or sub-genres, at least—as often as it takes to satisfy the whim of the gods. And, in this case, readers are the gods. Also, you need to write lightning fast, publishing several books a year. My first novel, The Brevity of Roses, released in March 2011. It’s now May 2017, and I’ve just seen the release of my fifth. See a problem? So, why do I persist in writing? Though I’m serious and conscientious with my work, and though this retiree absolutely appreciates every dollar earned, writing is not primarily a business venture for me. Writing is partly therapy—it keeps my brain nimble and engaged. It’s partly vanity—it boosts my self-esteem when people read and enjoy my words. But mostly, I write because I have a need to create. If you’ve written a novel, you know it’s not easy. You know you will alternately love and hate your work as it progresses. But eventually, when it’s done and polished and ready to share with others, you’ll be proud of it. And then comes release day. Your creation is in the hands of strangers. You can barely breathe, waiting to learn if those strangers appreciate your vision, your skill, your determination. Only a small percentage will ever let you know, personally or publicly, but that doesn’t stop you from looking forward to the next creation in words. That’s the joy and terror of the next few weeks for me. I’ll be watching my sales stats obsessively. I’ll be thrilling at good reviews and deflating at bad ones. But I’ll continue working because I love it. I have a few more worlds to put into words. Well, my latest novel, Forever, launched today. It’s available for sale on Kindle and the softcover should also be available in the next day or two. This launch is a bit low-key for me because I think I may not have been clear about the book’s genre in previous posts. So far, the reviews on Amazon and private comments from a couple of readers have fallen into two extremes. I may have written my first love it or hate it book. One reviewer called it “very twisted” and took offense at the “graphic” sexuality and “profanity.” So, yeah, be forewarned—Forever is not like my other novels! It’s not women’s fiction, it’s not romantic comedy, it’s horror. It’s a book not for the faint of heart. But at its heart, Forever is the story of a marriage tested by extreme circumstances. It’s the story of a husband and father, a good man, blindsided by a demonic entity. It’s the story of an ill-fated couple from a past century reincarnated in the present. I think it’s a great story, but then … I’m a Stephen King fan. Sound like your cup of tea? Then start reading now on your Kindle or free Kindle app. I know, like most of us, you have a to-be-read list a mile long, so I’ll appreciate your devoting a few hours’ time to Forever. And if you do read it, please support me by leaving an honest review on Amazon. After twenty-three years, Tom and Julie Cogan are still in love. But they’ve started keeping secrets from each other. Secrets that will jeopardize more than their marriage. When young and beautiful Annie is thrust into Tom’s life in a bizarre experience, he decides not to tell Julie. Now, his silence has put them all in danger. Unknown to them, they’ve all become pawns in a demented and deadly game staged by an Entity who’s waited nearly two centuries to exact revenge. So, yeah, storytelling in a genre I haven’t shared with you before—but it’s still character-driven, with the examination of relationships all-important. This story, in essence, has been with me for seventeen years. I’m glad it’s finally written, though how it will be published is not yet determined. You may remember that my novel High Tea & Flip-Flops received a publishing contract from Amazon’s Kindle Press after winning a Scout campaign. Now, I’d like to do the same with Forever. 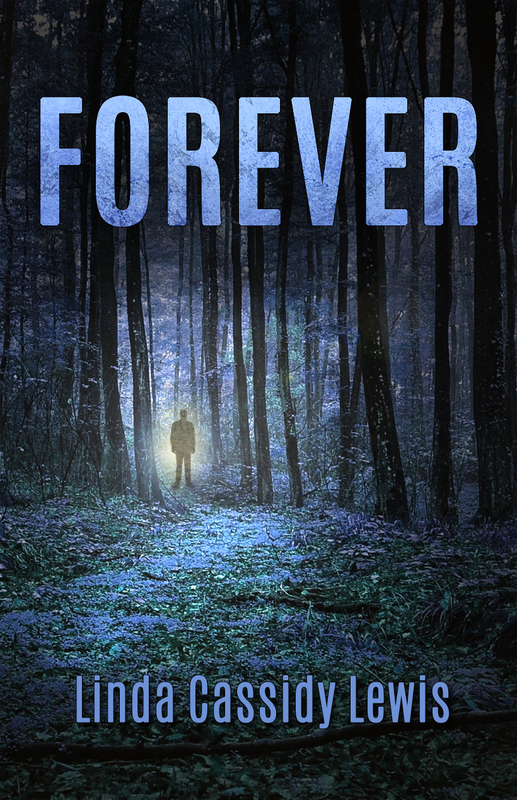 I’m excited to announce that Forever has been accepted for a Kindle Scout campaign. Yay! That means I need your help. If you click the link below, you’ll get to read the first twenty pages. Then, if you think Forever deserves publication, please click the blue “nominate me” button. Nominations show Kindle Press that readers are interested. Don’t forget—if Forever is awarded a contract, you’ll receive a free copy of the ebook from Amazon! My Forever campaign will last through the month of December. Please spread the word to friends and family, so they can click that blue button too. I think the guys will like this one, so don’t forget them. And I’ll be thrilled to see you share and retweet my campaign posts on social media throughout December. July has come has come and gone. I had big plans for July, but most of them were not fulfilled. And then I ended the month flat on my back so sick I couldn’t even read. Four horrible, blurry days of boneless misery. I’m a fidgeter, so my husband says he knew when I was starting to come back to life because my fingers and toes started wiggling and tapping again. The brightest point of the month was the annual summer visit from my son Daniel Lewis and “daughter-in-law” Sarah Chavez, both professors at Marshall University in West Virginia. We always have a good visit with them. On one afternoon, we visited the Nonini Winery—said to be haunted. It’s been owned by the same family since it was founded in 1936, and I loved the old photos and documents displayed in the tasting room. I enjoyed the wine and, yes, it was a little spooky standing among those massive, old redwood aging tanks. High Tea & Flip-Flops is available for Kindle at Amazon worldwide as well as in paperback at Amazon and other online stores and by special order at your local bookshop. (Amazon.ca is slow adding the paperback, but it’s coming.) If you’d like to help me spread the word on Facebook or Twitter, please click this link, choose the appropriate image, and copy or save it. When you share it, please remember to add the link: author.to/LindaCassidyLewis in your post or tweet. Thank you. Thank you. Thank you. So, that’s the everything part of this post. The nothing part concerns my writing. No progress. I haven’t added a word to the first draft of my next novel. Oh, I think about it. I open the file and read parts of it. I stare at the Scrivener screen for a while. Then I hit exit. It feels odd not to be writing every day. It feels scary, to be honest. What if I never write again? The odd thing is that it’s not this particular story I’m struggling with. The plot outline is complete. I’ve visualized the rest of the scenes. I believe it’s a story worth telling. The problem is not in that manuscript. The problem is in me. I’ve had a blow to the confidence in my writing (concerning another manuscript) and haven’t been able to get beyond it. That seems silly when I have a new book out that readers are praising, doesn’t it? Or maybe it doesn’t. I’m as confounded by the writer’s mind as anyone. I hope your July was fabulous and your August is off to a wonderful start!